Species was moved into a newly estabilished subgenus Paracoptosia by Mikhail Danilevsky in 2017 [✩]. According to M. Rejzek et al. [❖] in Turkey Phytoecia (Paracoptosia) compacta sancta develops in Anchusa italica (Boraginaceae). The depicted beetles were collected in Slinfah E Latakia, NW Syria on a the host plant. Host plants of several herb-feeding Cerambycidae mainly from east Mediterranean region (Coleoptera: Cerambycidae). 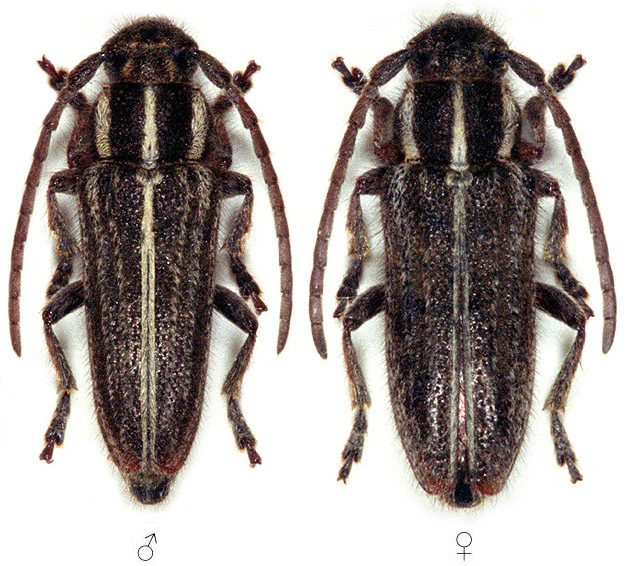 A new subgenus of the genus Phytoecia Dejean, 1835 (Coleoptera: Cerambycidae: Lamiinae). A New Subgenus of the Longicorn Genus Phytoecia Dejean, 1835 (Coleoptera, Cerambycidae) from the Palaearctic Region.